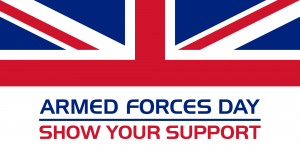 Whitby Armed Forces Day is held once a year on the last Saturday of June to celebrate and honour our Armed Forces. This year's event will be on Saturday 30th June and everything will kick off at 10am and run throughout the day until 4pm. An itinerary will be released closer to the time so keep checking back for more updates! If you would like a stall, please complete the form below by Monday 18th June.